Happy Tuesday! 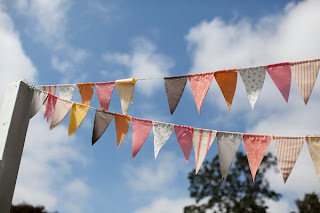 Due to a spotty internet connect yesterday and most of today, I was forced to write about how much I love Mondays - especially when it's already Tuesday! Don't you just love when you think it's one day of the week, and it turns out to be another? Labels, labels, labels! These lemonade bottles are really fun. How cute would it be to have these lined up and use them as placecards for each guest? 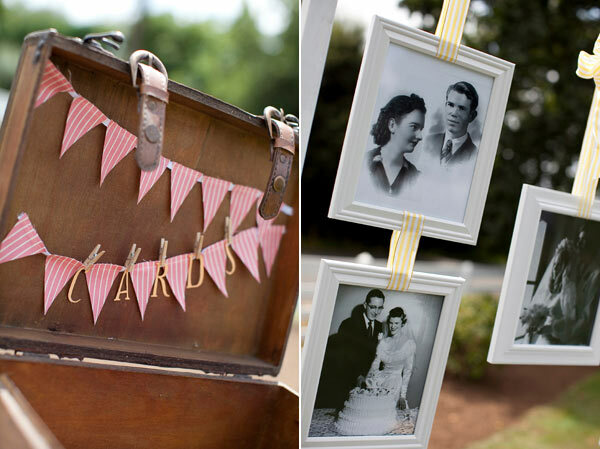 I love these fun flags - they really set the tone for a celebration! 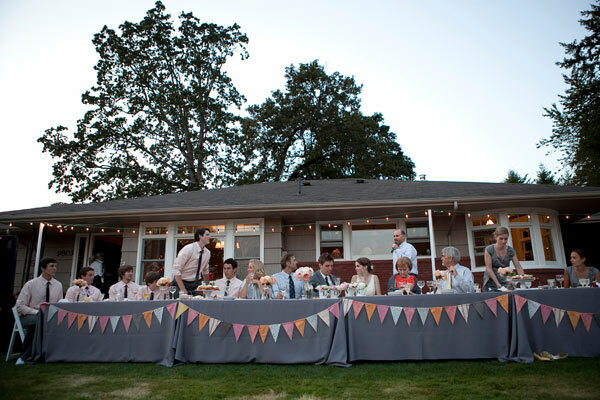 DIY flag bunting is one of my favorite trends - the uses are endless - perfect for the imaginative bride. 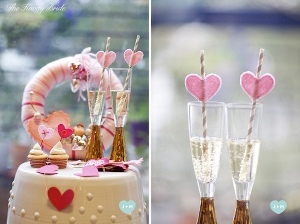 One of my very, very favorites - stripey straws! 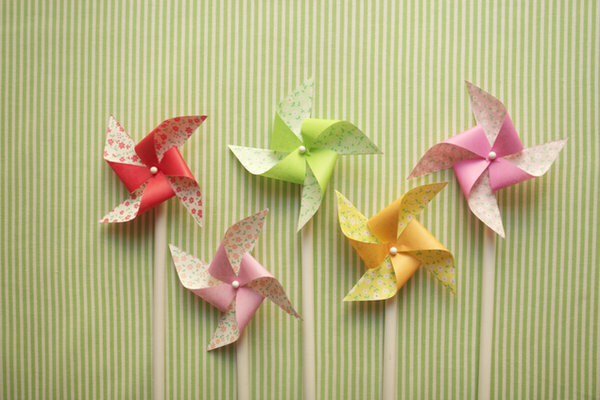 You can use them to convey a message, such as "Thank you for being here," or use them as placecards as well. 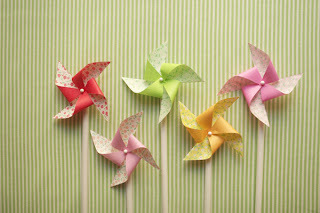 I also love pinwheels! I've seen them used as a decor element, placecards, in lieu of tossing petals or rice, table numbers....the possibilities are endless! Hope your Monday (and Tuesday!) were fun-filled.